Filmmaker Karan Johar, known for bringing all the talented peeps of the Bollywood industry together, has done it again! For the first time ever, he has brought together an ensemble cast spanning across all age groups and fields for his next movie, Kalank. Kalank, touted to be Karan Johar’s dream project, is going to be directed by 2 States director, Abhishek Varman. A period drama set in the 1940s, the movie was conceptualised by Johar and his late father, Yash Johar. The film marks the collaboration of three biggest production houses of Bollywood including Karan’s Dharma Productions, Fox Star Studios and Nadiadwala Grandson Entertainment. Meanwhile, our favourite stars are coming together for this new movie and have already started shooting for the first song! Check it out here! Starring Madhuri Dixit, Alia Bhatt, Sanjay Dutt, Varun Dhawan, Aditya Roy Kapur and Sonakshi Sinha, Kalank is going to go on the floors this year and will release on 19 April, 2019. 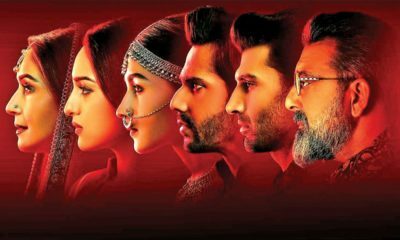 With Karan Johar’s panache for finesse, perfection and attention to minor details, Kalank looks to be a promising and entertaining watch. For a long time now, our Bollywood directors have been in love with the idea of period dramas as a genre. In fact, Karan Johar can do the unexpected! He has convinced Sanjay Dutt to star opposite Madhuri Dixit after a long gap of 21 years due to their personal fueds with each other! A source close to Dharma Productions revealed saying KJo spoke to Dutt, advising him to let bygones be bygones. “Karan reminded Dutt that whatever had happened between Dixit and Dutt was in the past, that they are now happily married and with children. 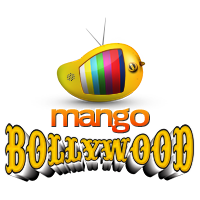 Let the past bury itself,” Bollywood Hungama quoted a source as saying. Dutt, thus, agreed.